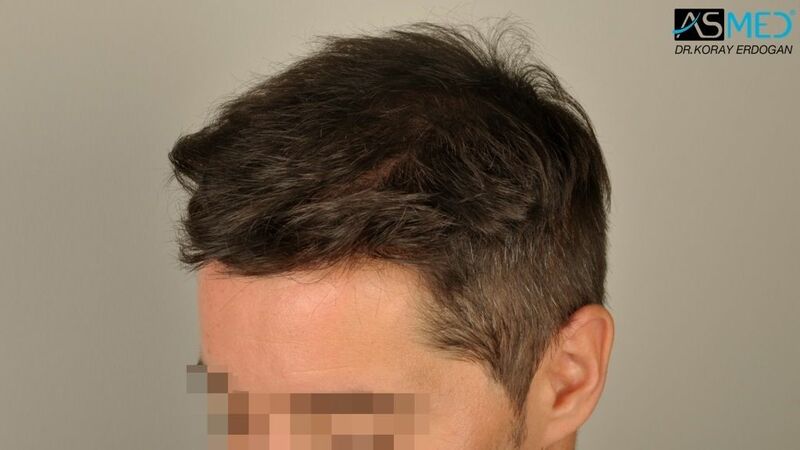 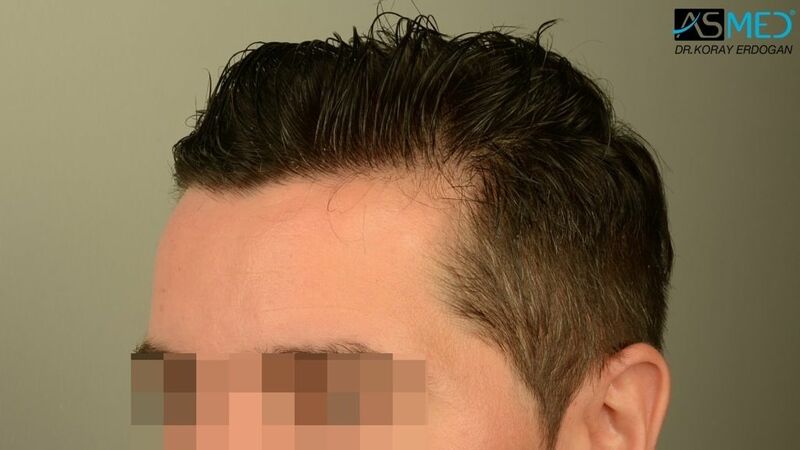 - OPERATION DETAILS: 2820 grafts FUE extracted by manual punch, diameter 0.6 - 0.8 mm. 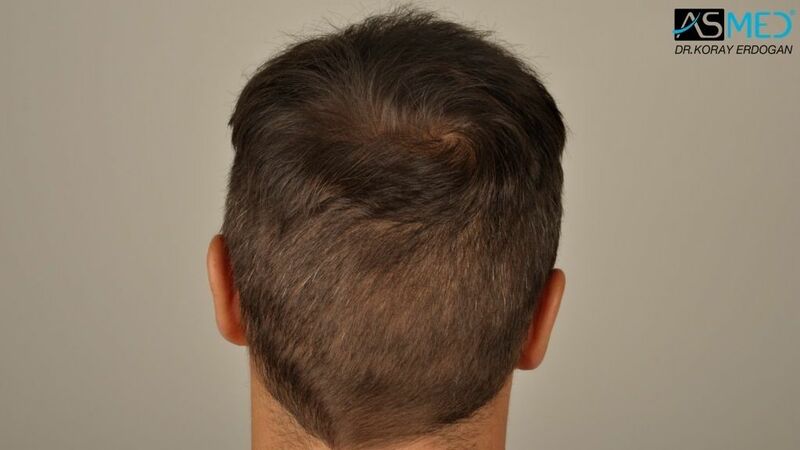 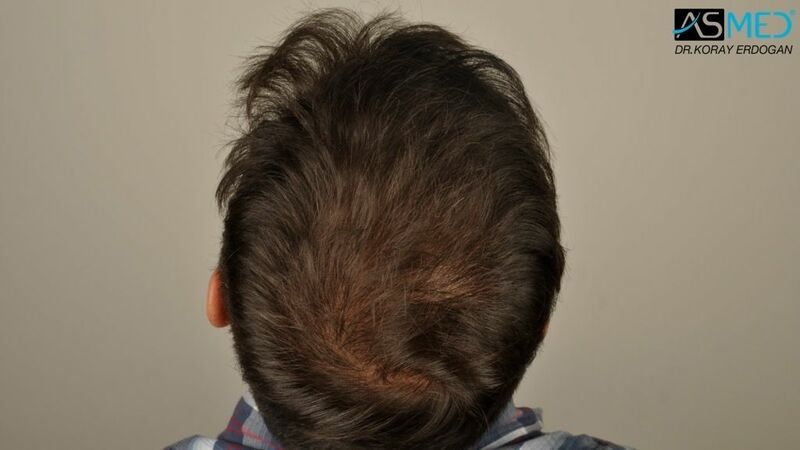 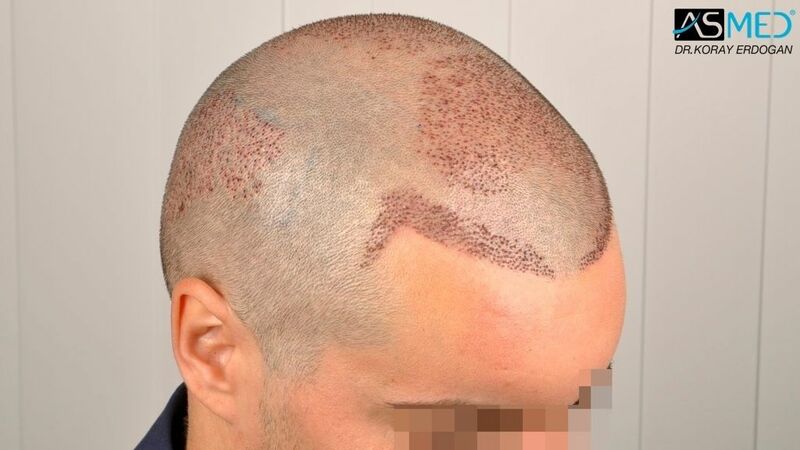 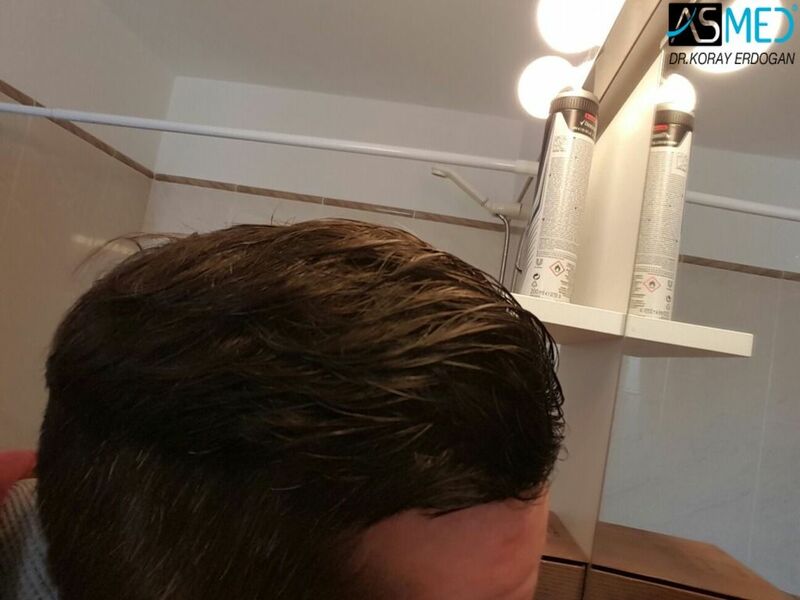 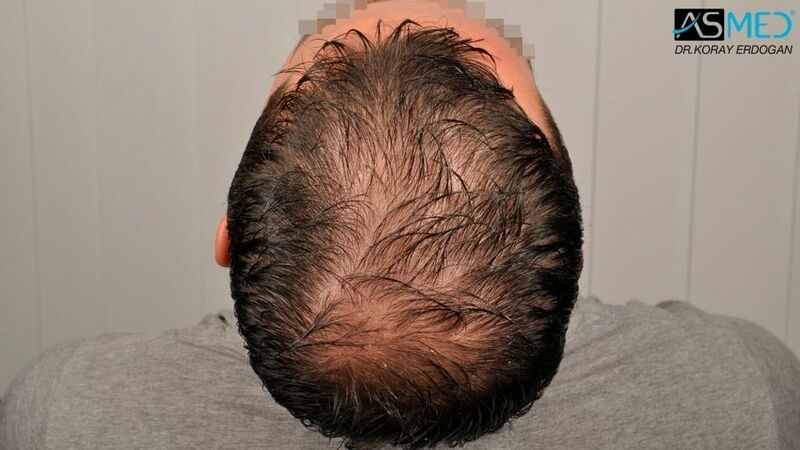 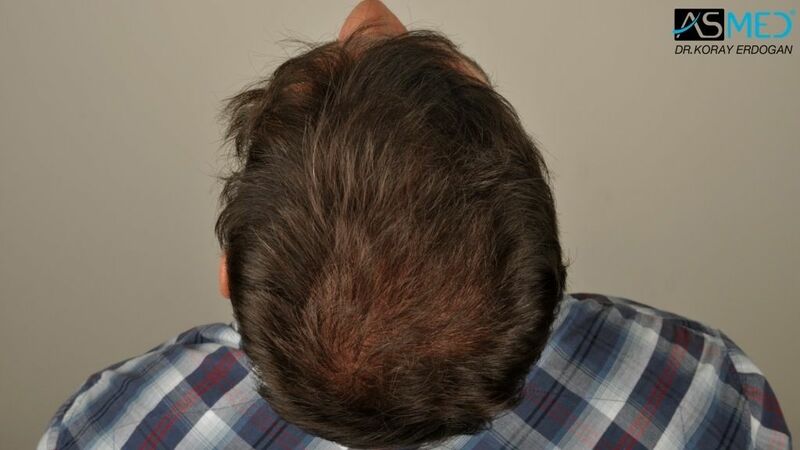 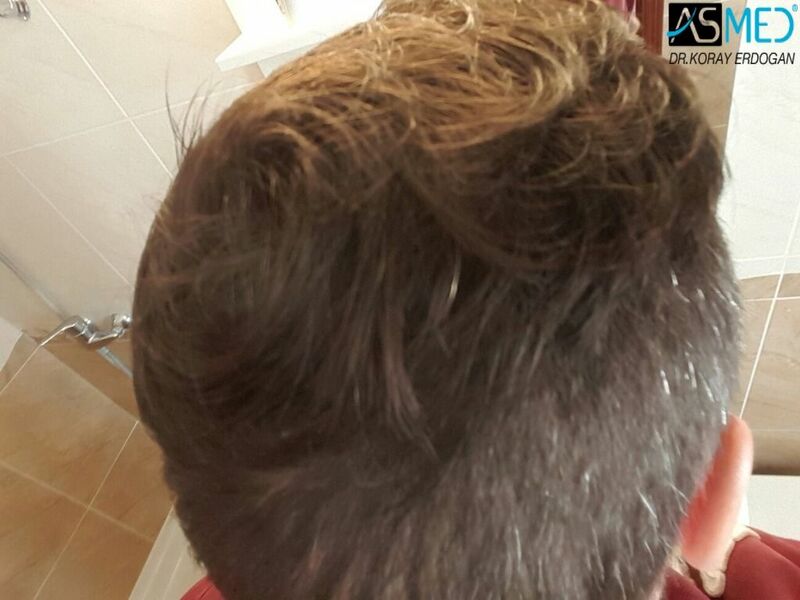 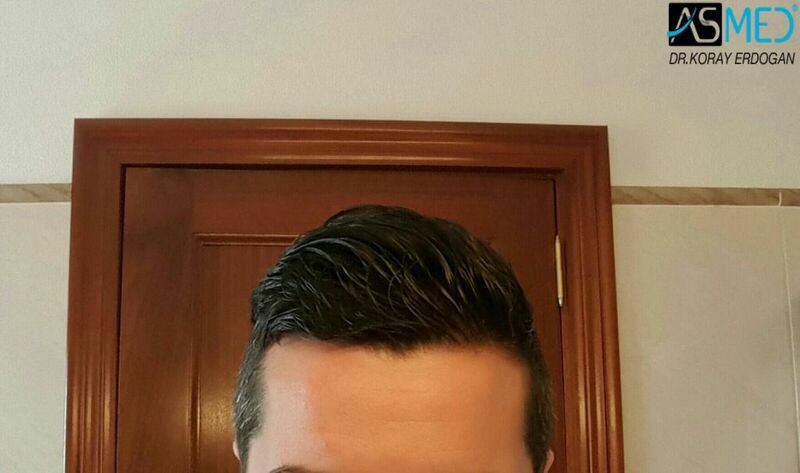 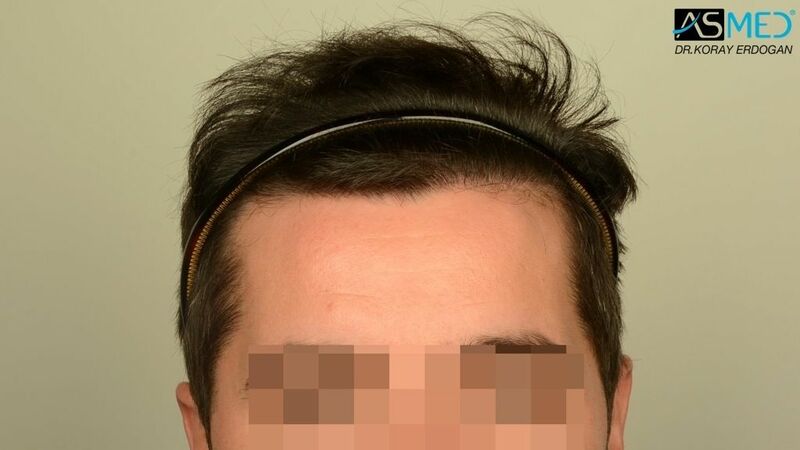 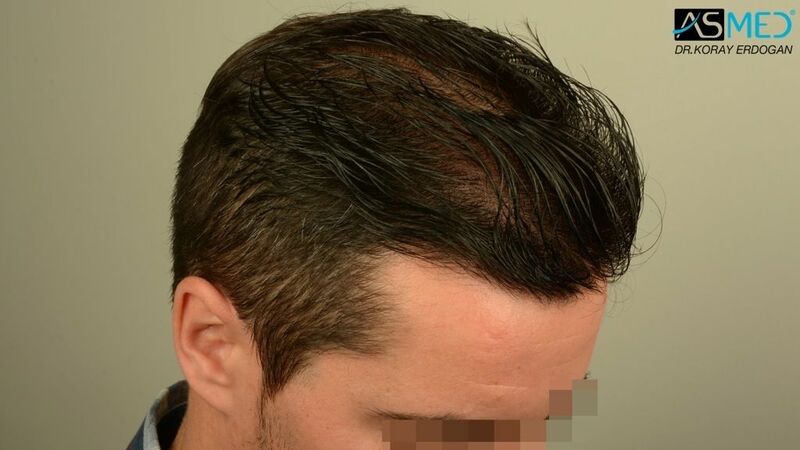 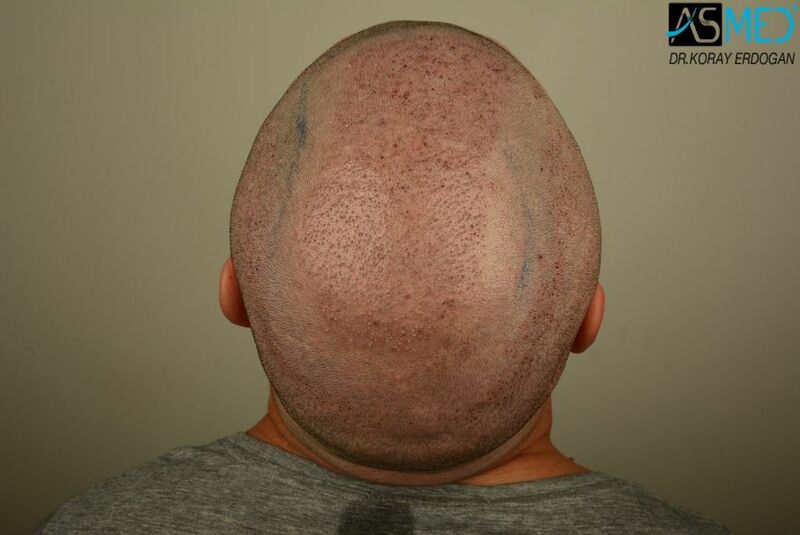 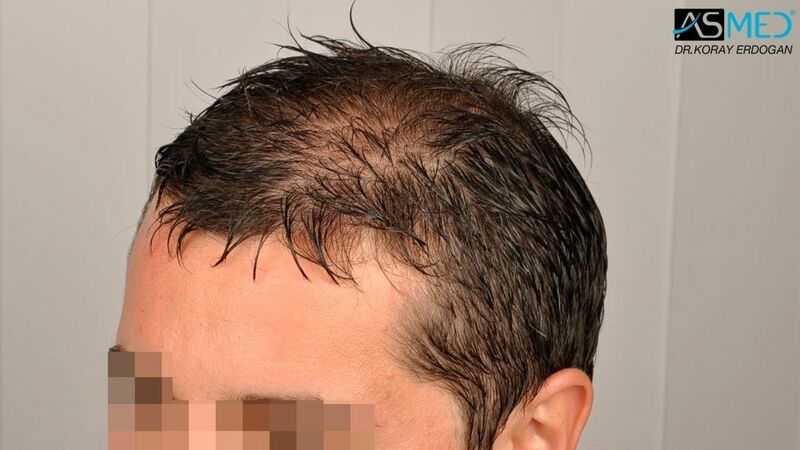 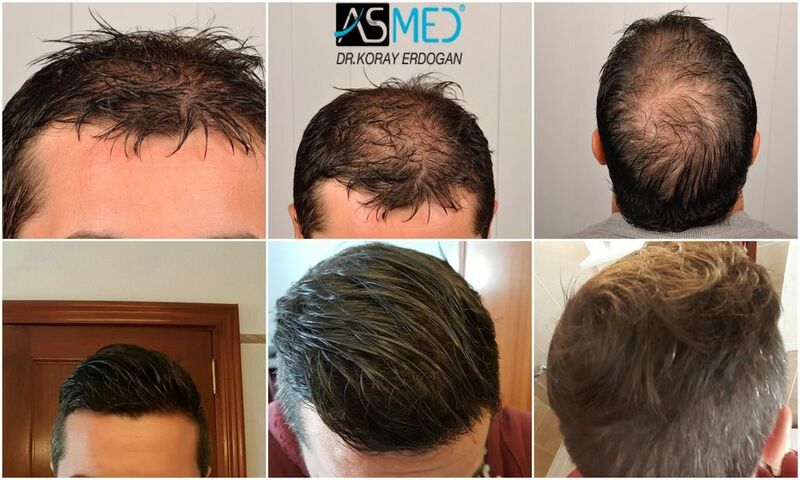 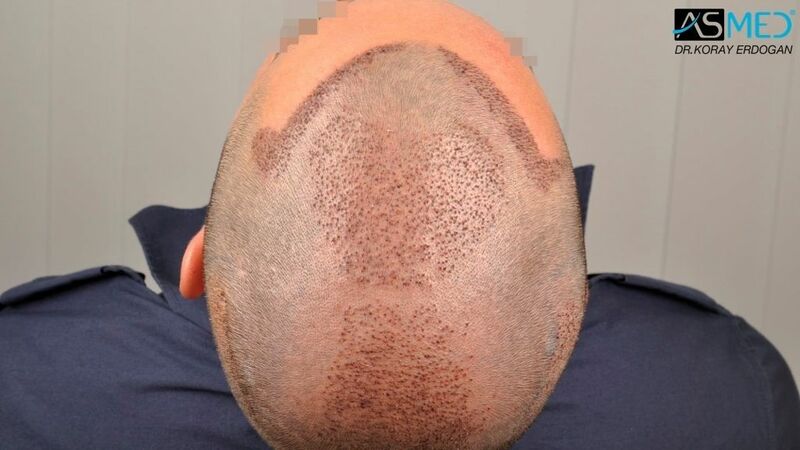 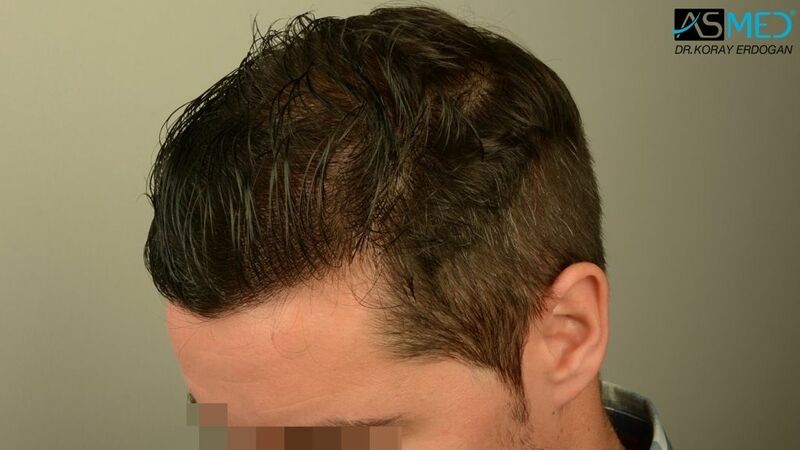 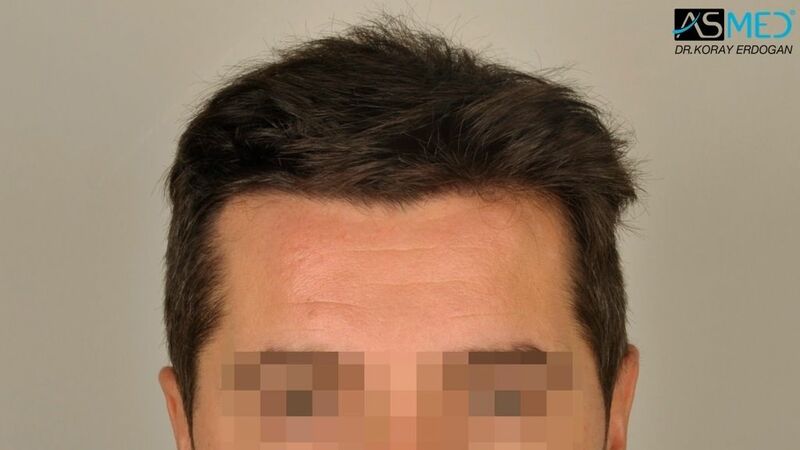 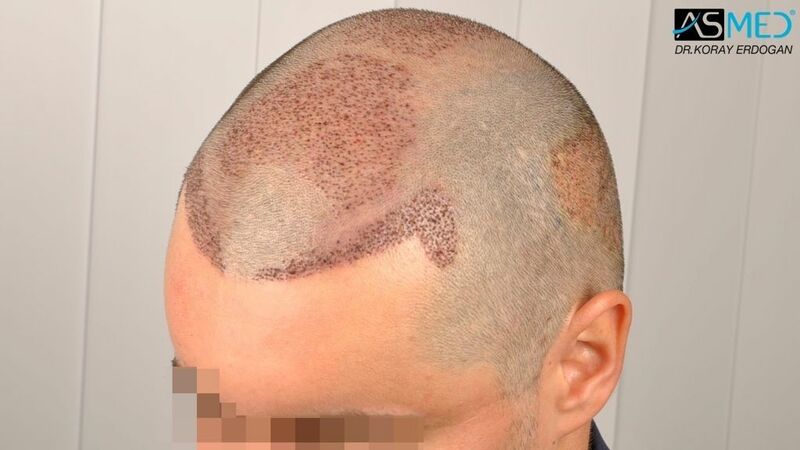 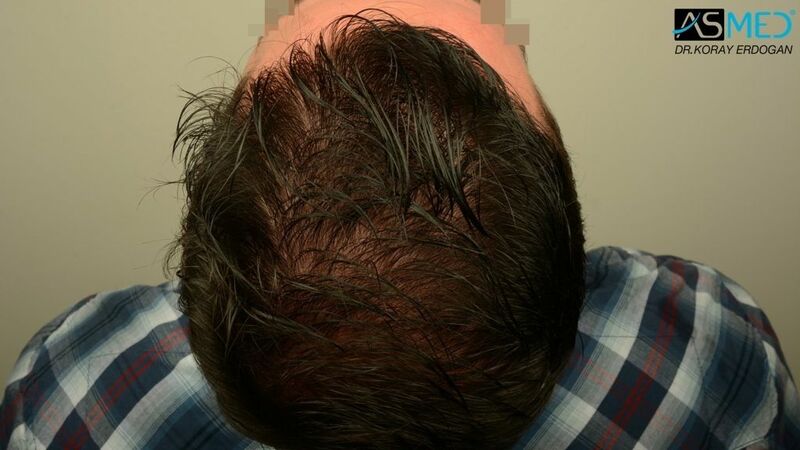 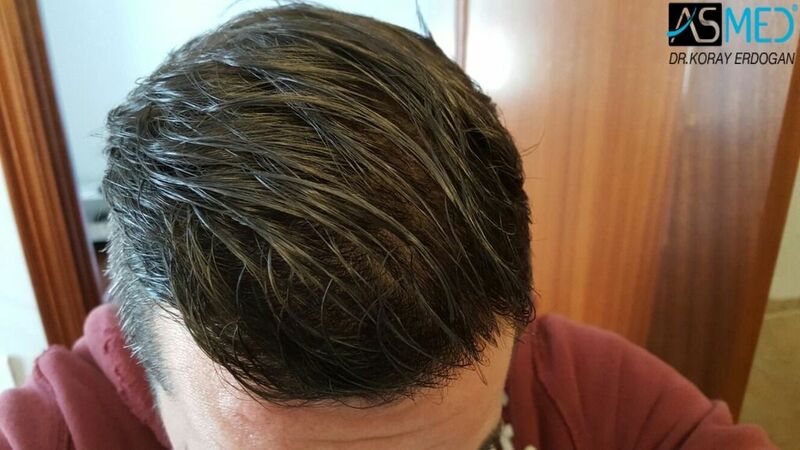 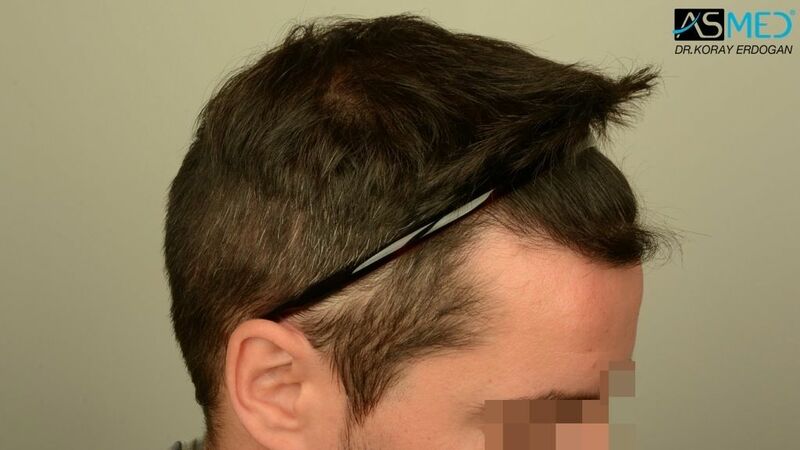 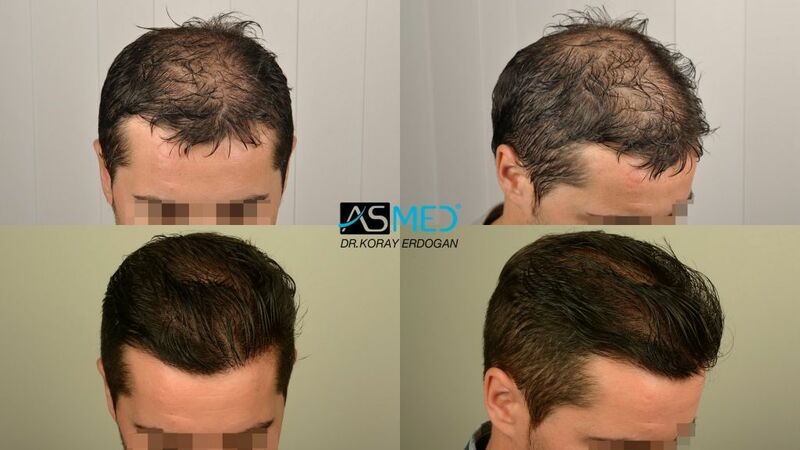 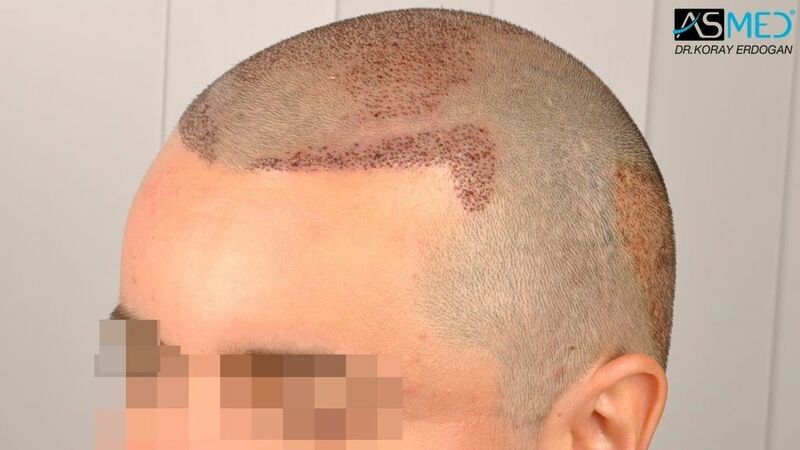 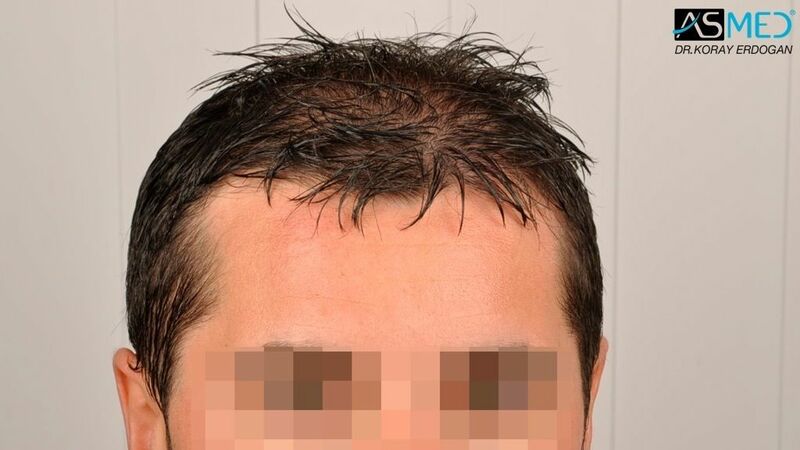 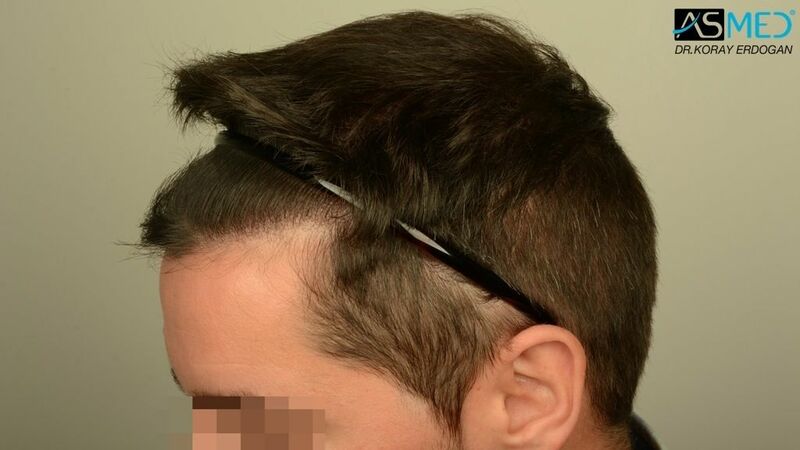 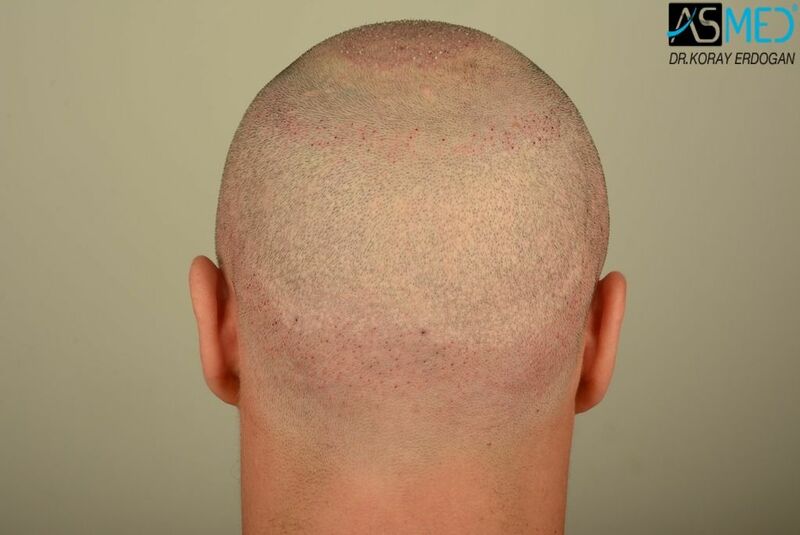 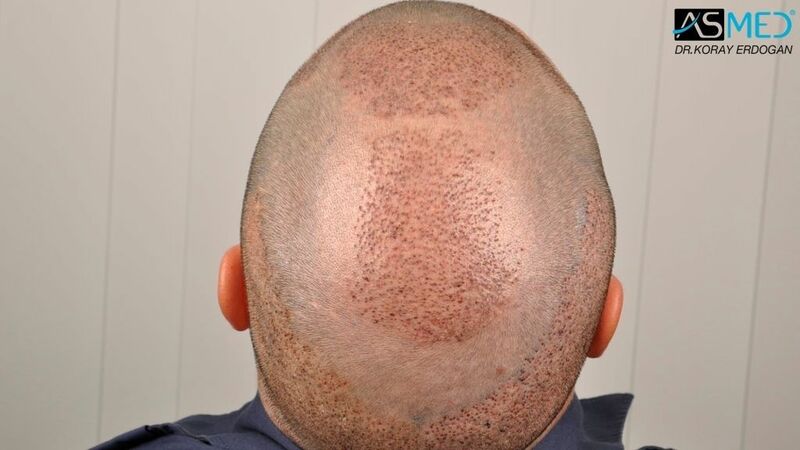 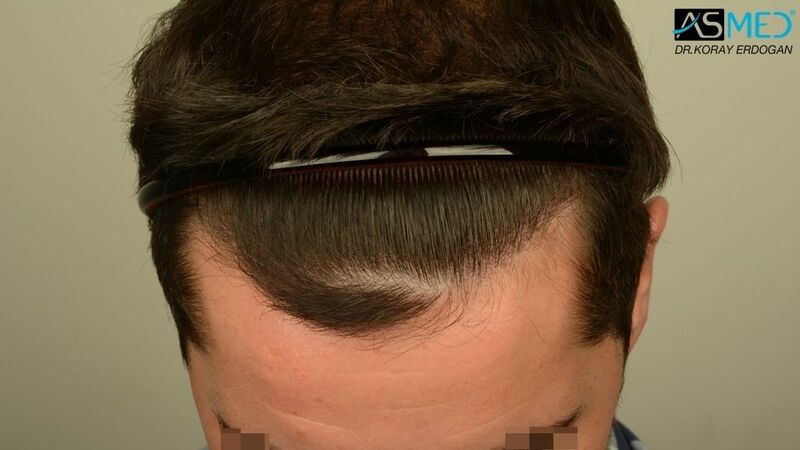 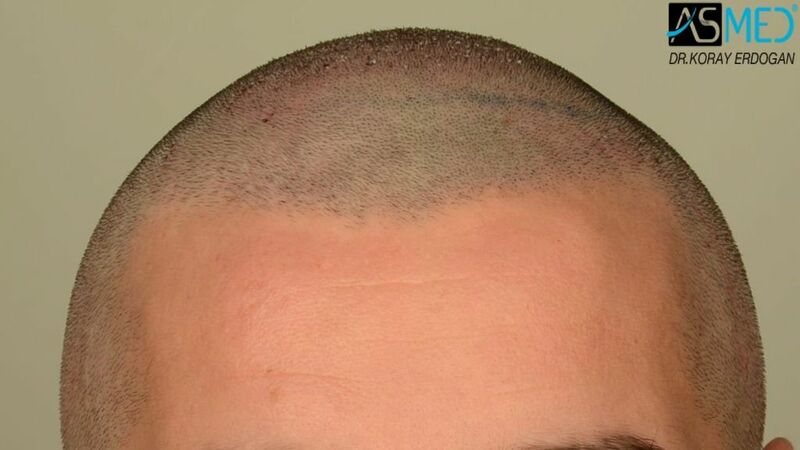 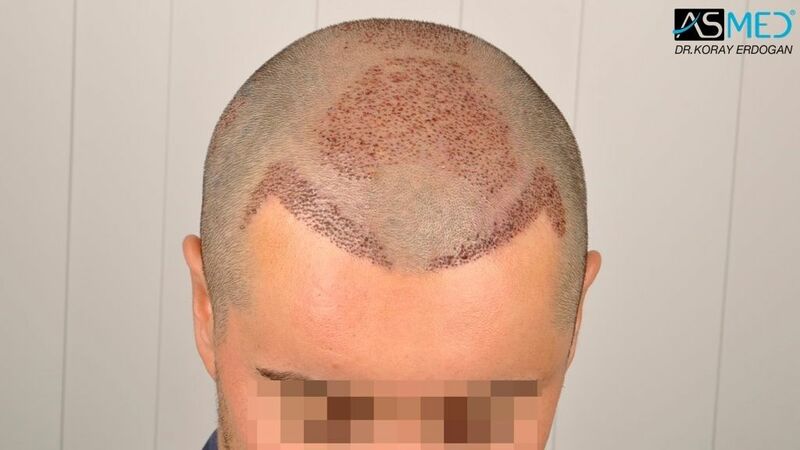 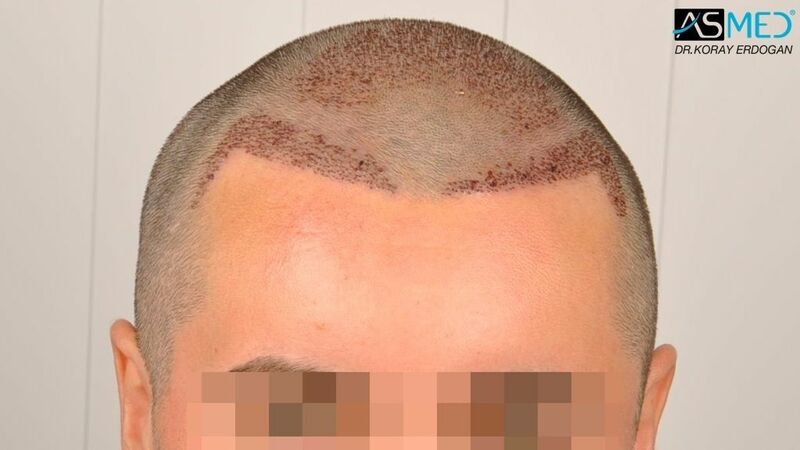 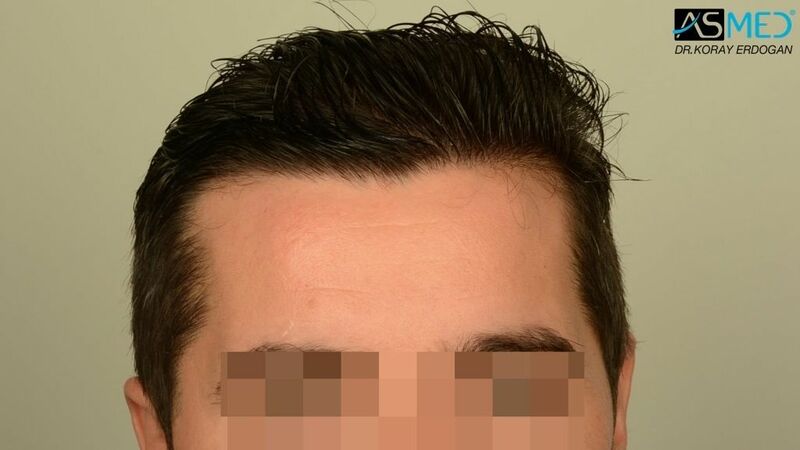 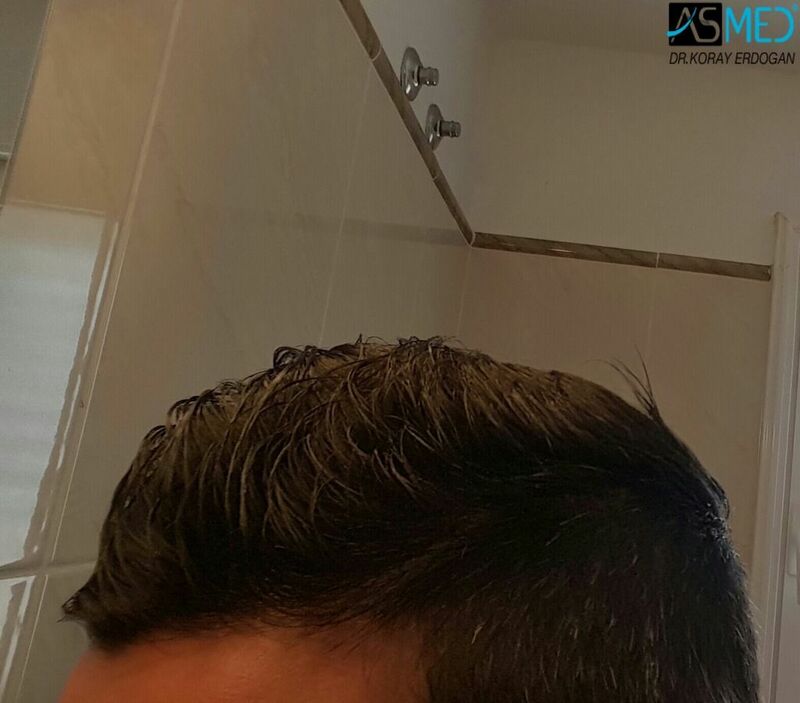 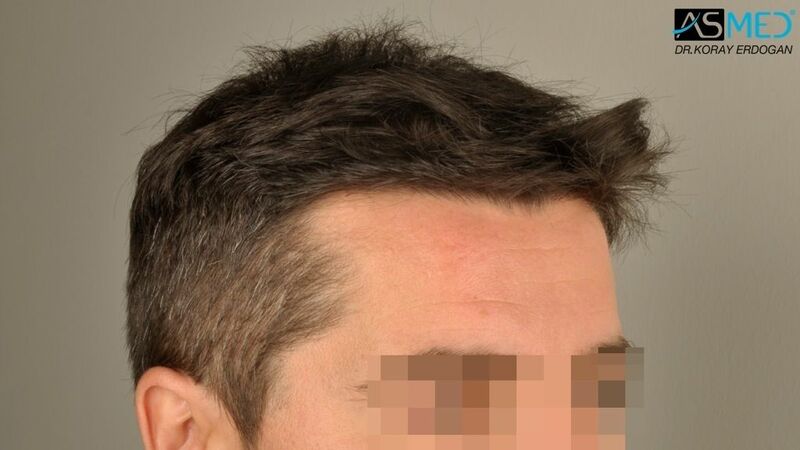 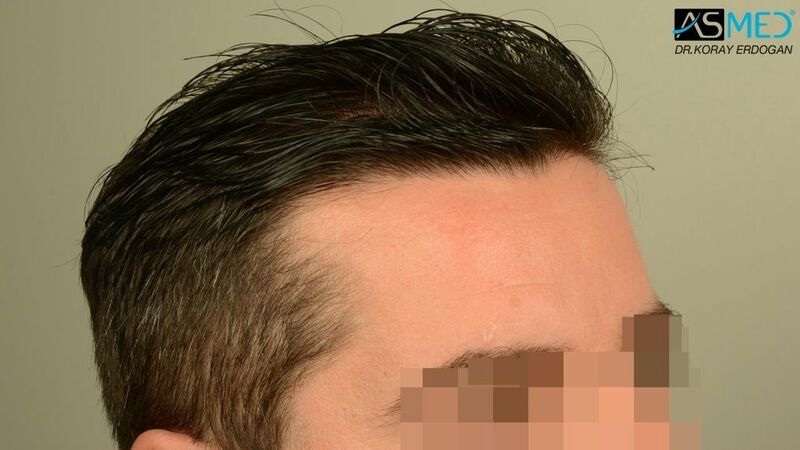 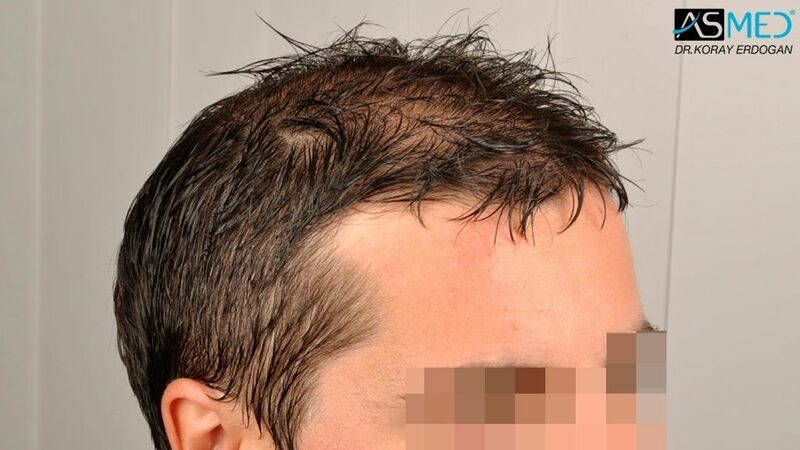 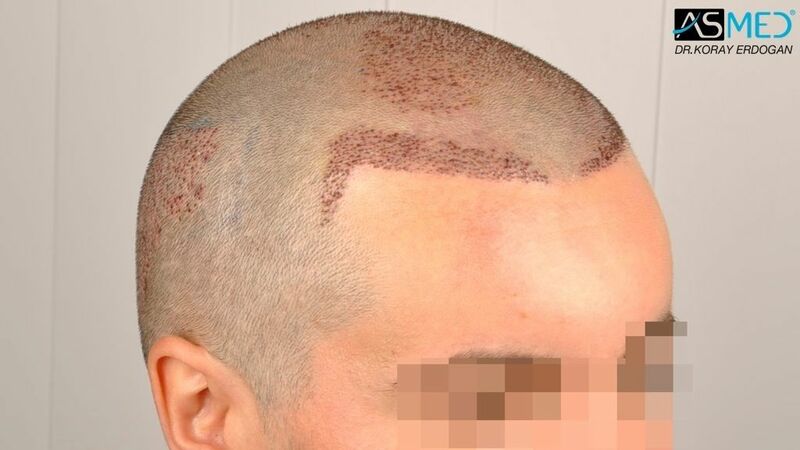 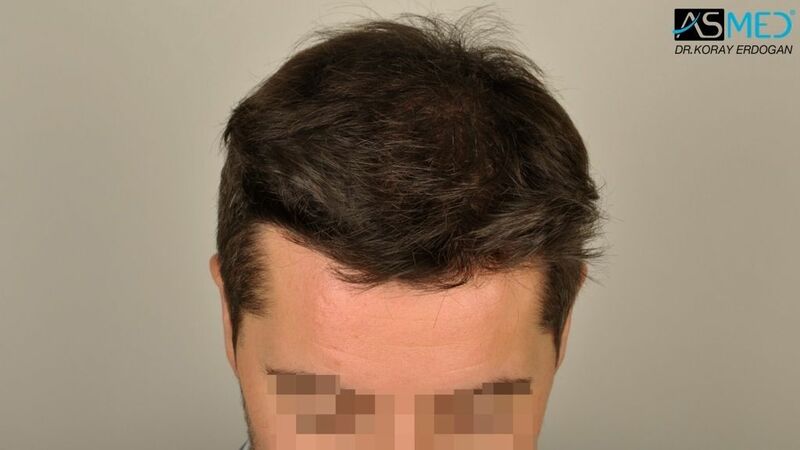 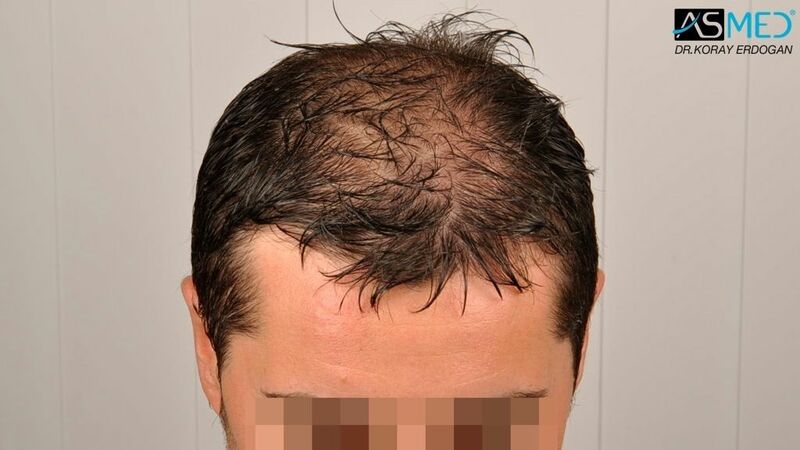 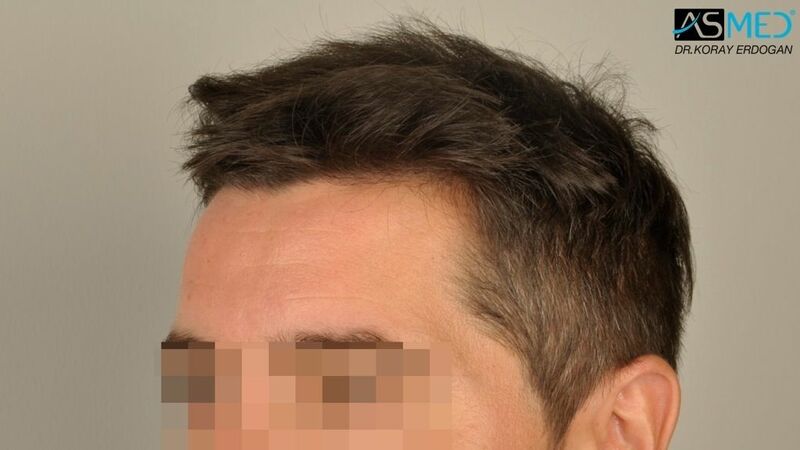 ** The patient has just undergone a second surgery (2000 grafts FUE) to optimise his mid-scalp and vertex areas. 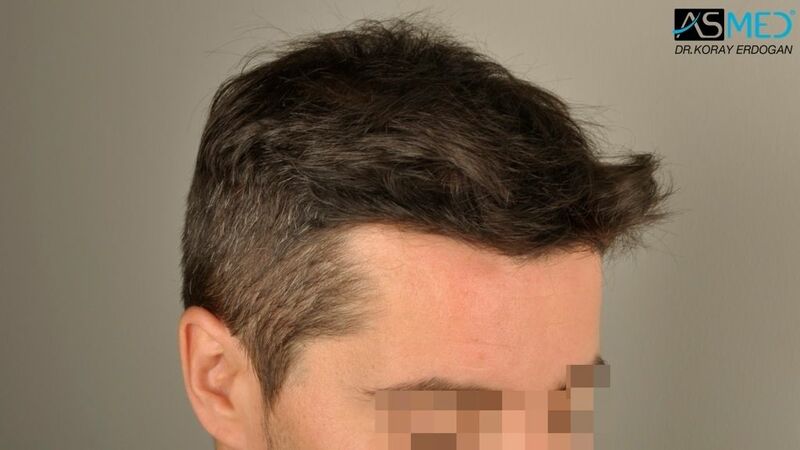 We will keep you updated as soon as we will have a detailed documentation. 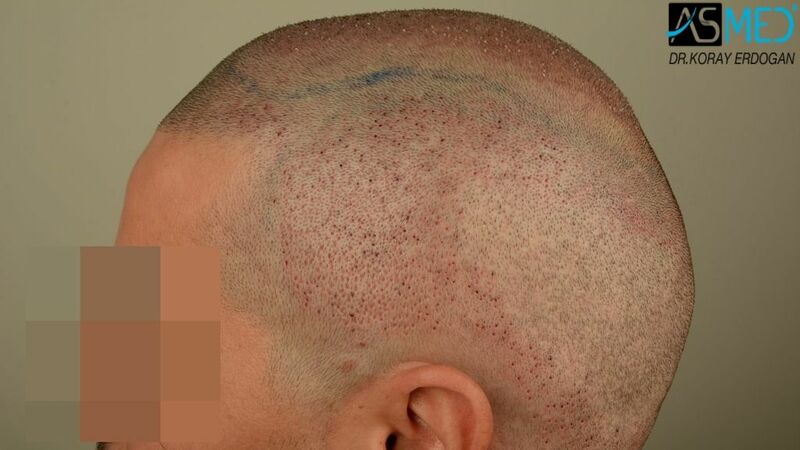 OPERATION DETAILS OF THE SECOND SURGERY: 2002 grafts FUE extracted by manual punch, diameter 0.7 mm. 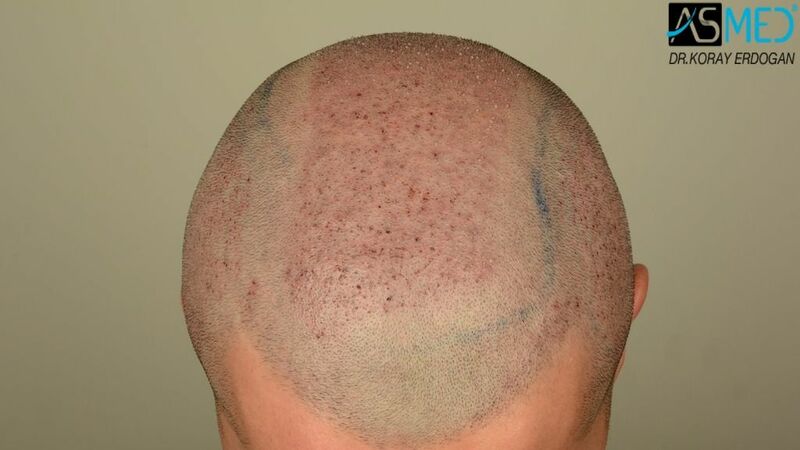 GRAFTS DISTRIBUTION: 2002 grafts were used for thickening of the patient’s mid scalp area. 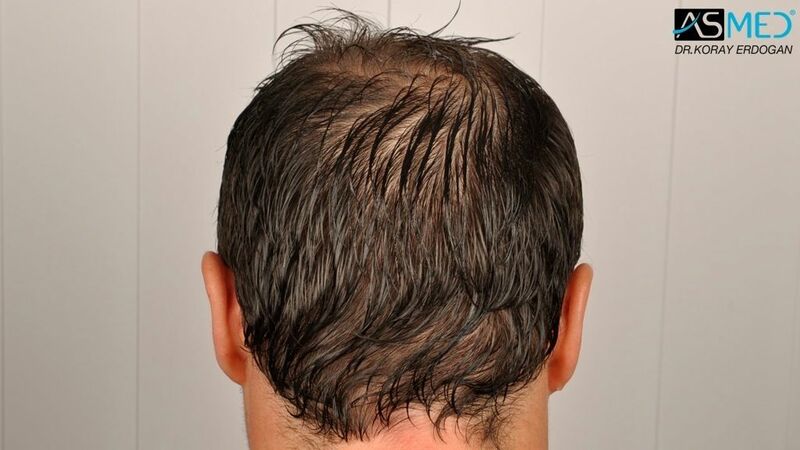 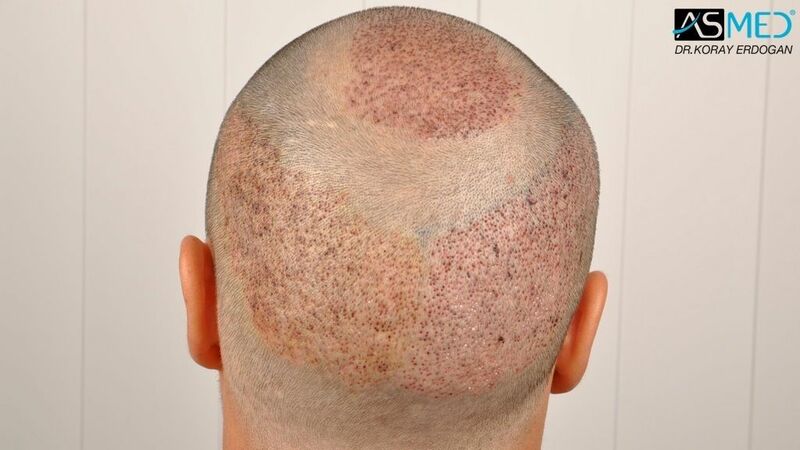 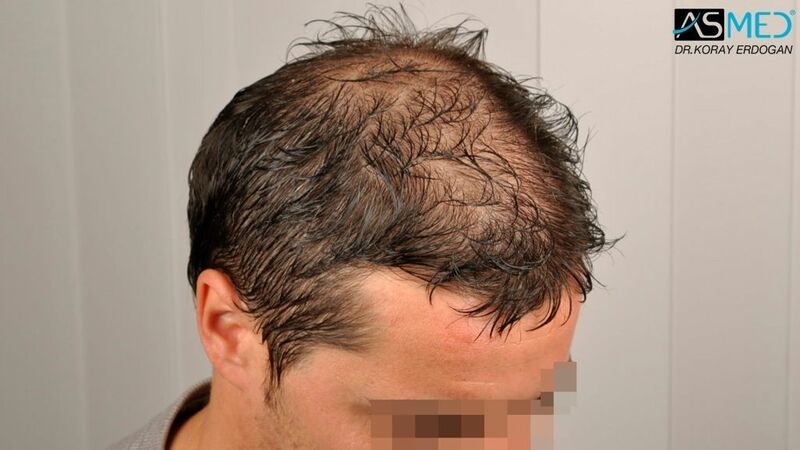 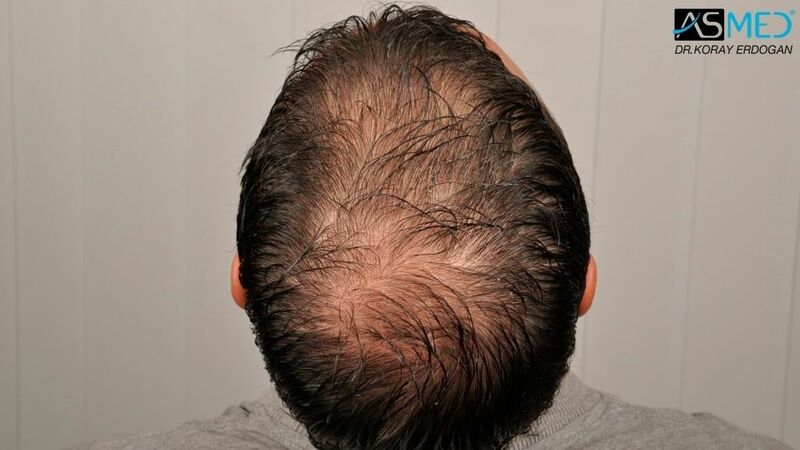 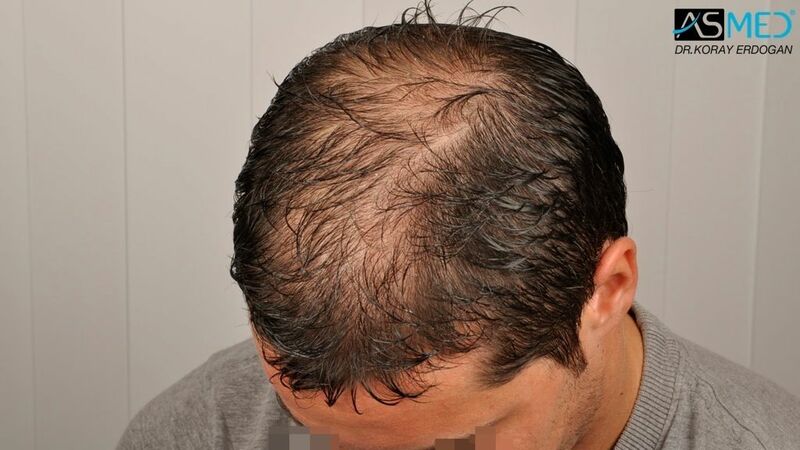 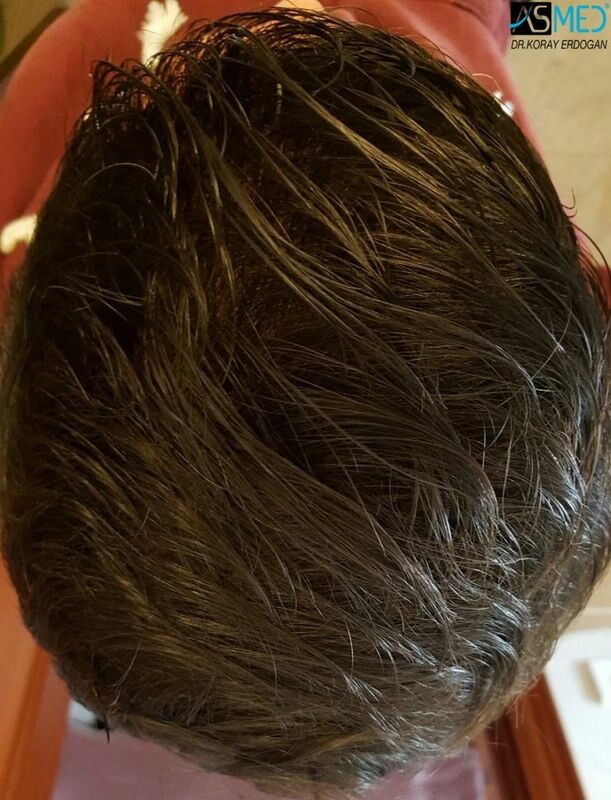 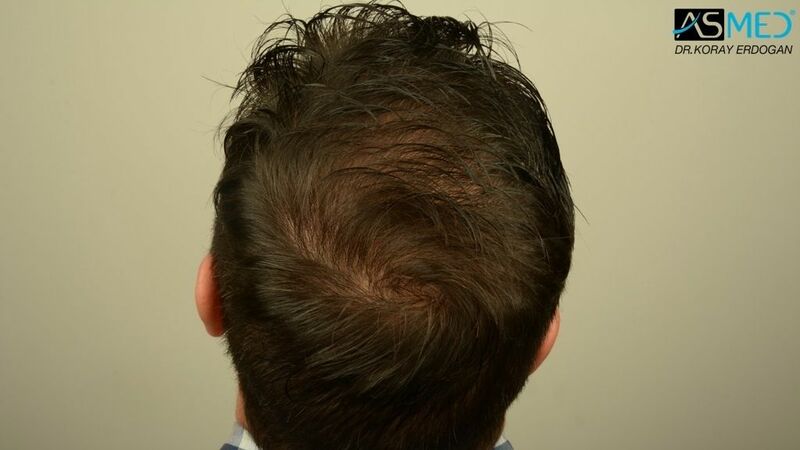 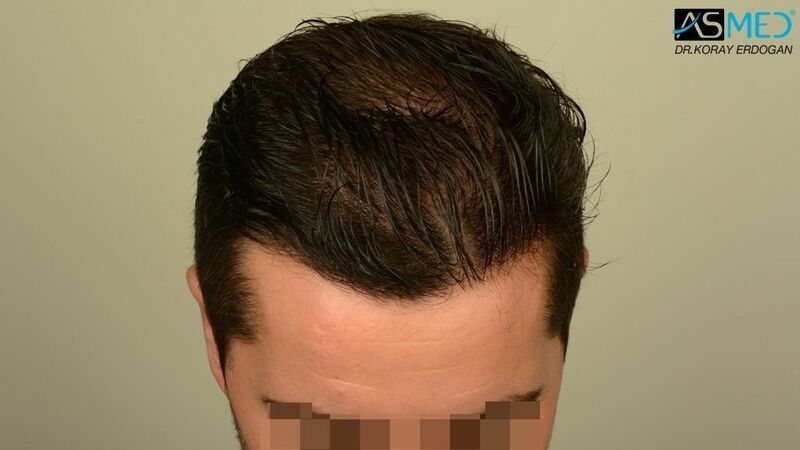 FINASTERIDE: The patient has started to use finasteride along with the first surgery and still using it. 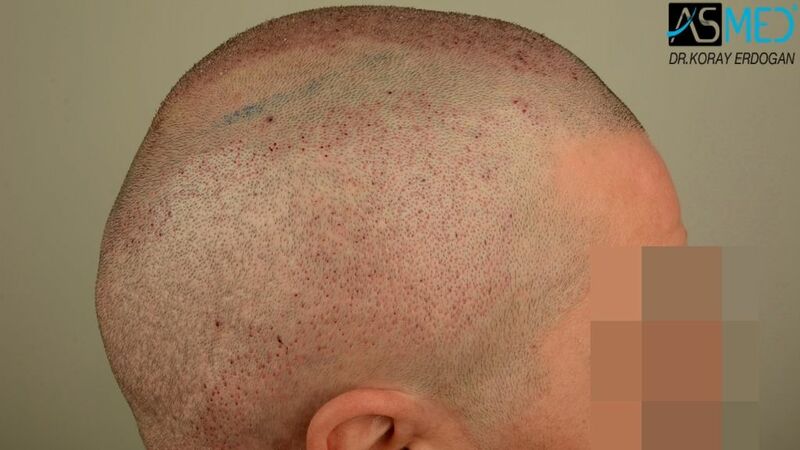 Please note that the “RESULT” pictures were sent by the patient.